This section contains information about Middle Eastern music and instruments. If you would like to learn more about Arabic, Persian/Farsi, or Turkish music and instruments this is the place to be. These pages contain information on history, playing, and care of different musical instruments as well as information on Musical genres, demonstration videos, and maqam. This section contains information about Middle Eastern music including various styles of Arabic, Persian, and Turkish music. This section covers information related to drums in Middle Eastern music including history, care of, and rhythms. This section contains information related to finger cymbals in Middle Eastern music including history. 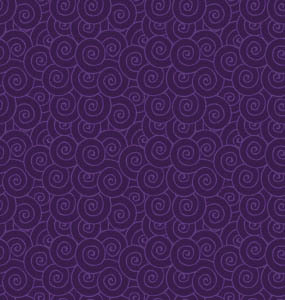 care of, and patterns. This section contains information related to String Instruments used in Middle Eastern music including history, care of, tuning and playing information. This section contains information relate to Qanuns including history, care of, and playing information. This section contains information on other traditional instruments used in Middle Eastern music. 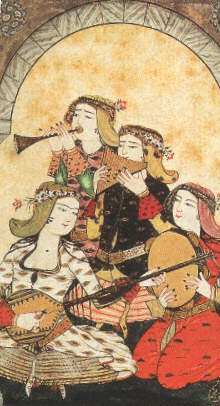 Musicians in the Harem. Miniature by Levni. 17th Century.